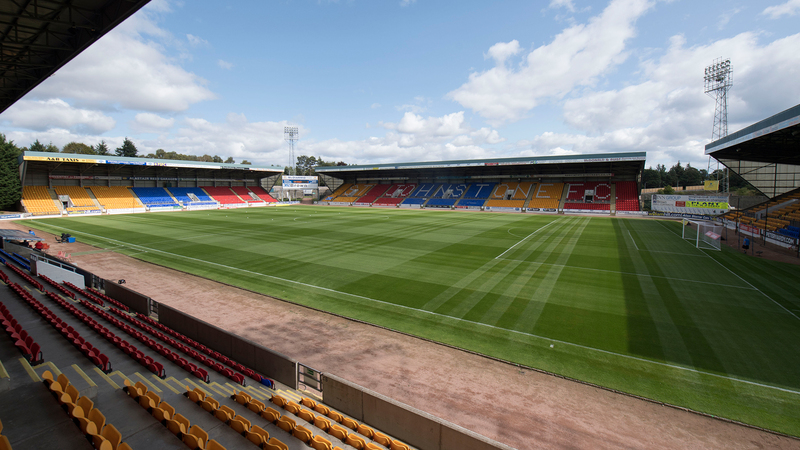 The Dons are back after the international break when they face St Johnstone on Saturday at McDiarmid Park. 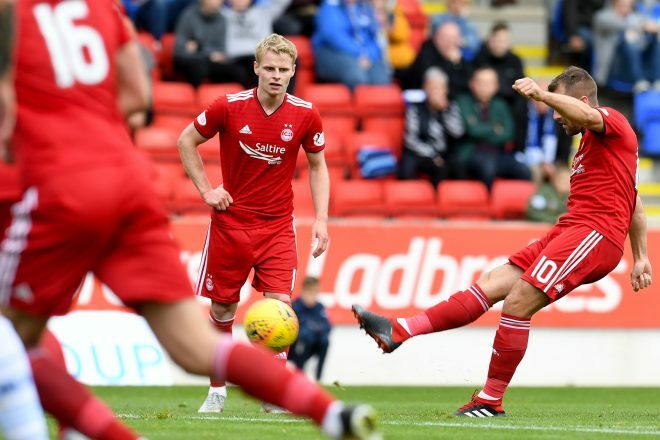 It’s been a difficult start to the season for Derek McInnes’s side after picking up five points from the opening four matches and went into the break with a 2-0 loss against Kilmarnock at Pittodrie two weeks ago. 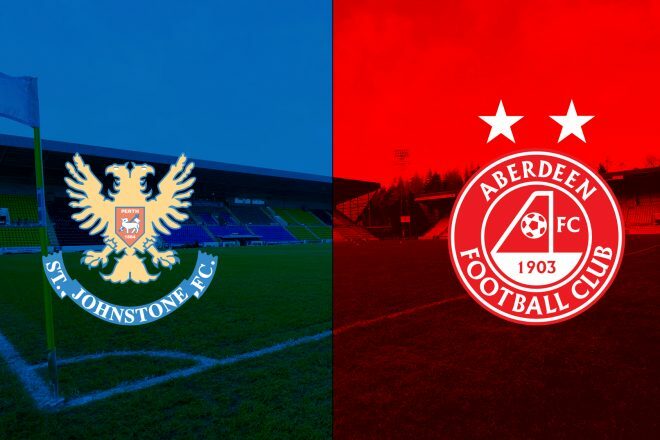 St Johnstone lie two points ahead of Aberdeen in fifth place and will be looking for a first victory over the men in red in four matches. Summer signing, Tony Watt has started the season in fine form and picked up the SPFL Premiership Player Of The Month for August and will pose as the Saints main goal threat on Saturday. On Friday morning Dons boss Derek McInnes and Gary Mackay-Steven spoke to the media before departing for Perth. “We’ve had some good results against St Johnstone last season, but over the period of my time here they have been a tough opponent for most teams and would normally be up with that top six, which suggests they get the right results. Last year was the first year in a while that they’d been out with that and Tommy’s recruited well. They’ve brought some ball carriers in terms of Wright, Kenny and Danny Swanson back. They’ve got Tony Watt to add to the goals and there’s still a familiarity about how they want to play so it’ll be a tough game. Likewise, we go down there motivated to get three points for our club and hopefully we can do exactly that. “The Kilmarnock game was not the game we wanted to finish on before the international break. So I am not sure if the break came at a good or bad time, depending what way you look at. It was nice to get some time off after the hectic start but finishing on a loss like that, you want to right that wrong as soon as possible. “So everyone is raring to go. We have had a good training week and we are all looking forward to the game. “It is a big boost for us having Scott McKenna back. It was unfortunate that he picked up the injury against Rangers as he is a big presence at the back for us. He is really solid and can also start attacks. With Mikey being out it is great to have Scott back. The Dons saved their best performances for St Johnstone last season picking up convincing victories in all three matches. In the first encounter it was the Adam Rooney show as the striker went home with the match ball after bagging a hattrick in a 3-0 win. In the second meeting down on a bitterly cold night in Perth The Dons were once again dominant and Rooney picked up from where he had left off against Saints by putting the visitors ahead before the quarter hour mark. Kari Arnason then popped up at the back post before the break to put The Dons two ahead and in complete control. In the second half Ryan Christie’s deflected free kick sealed the points and completed another 3-0 victory. The third and final match between the teams produced another fine Aberdeen performance. Ryan Christie and Stevie May had The Dons ahead at the break and Greg Stewart made sure of the points soon after. Although Saints got a goal back it was always going to be an Aberdeen victory as Greg Stewart collected his second of the afternoon to complete a 4-1 win. If The Dons get the three points on Saturday it will be the 23rd victory against St Johnstone away and would also draw the sides level on the same number of wins in Perth. Saints have scored 84 goals while Aberdeen have 78 for. The first meeting between the sides at the old Recreational Grounds came at the end of Aberdeen’s inaugural season – 1903/04 and they left with a 3-1 win. The biggest Aberdeen victory in Perth from Alex Ferguson’s men in 1983/84 as John Hewitt’s hattrick helped the team to a 5-0 win although St Johnstone have put five past an Aberdeen side twice in Perth. In Derek McInnes’s time at the club he has led The Dons to four victories over his former side at McDiarmid Park as well as drawing two and suffering two defeats. The game that has produced the most goals came in February 2016 as The Dons came to Perth days after defeating Celtic at Pittodrie. For the most part his side were rampant as Rooney (twice), Pawlett and McGinn all combined to have the visitors 4-1 ahead entering the final stages. 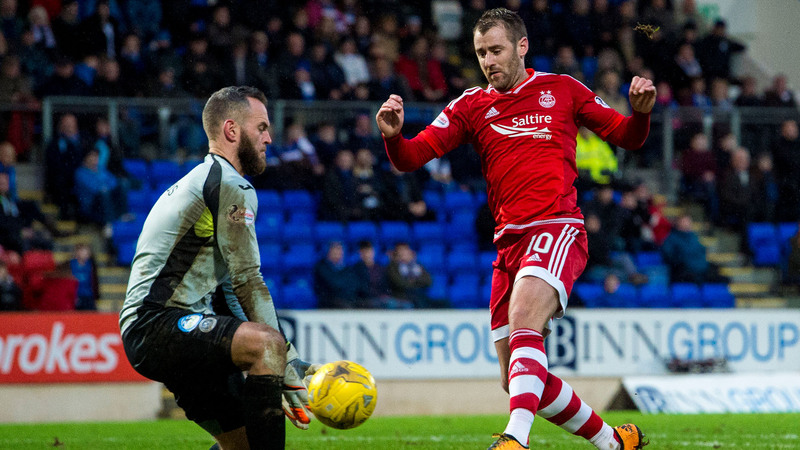 St Johnstone fought back and set up a nervous end, but The Dons held on for a 4-3 win. We should also point out that a certain Scott McKenna made his first team debut that day. If you can’t make the match at McDiarmid Park make sure to tune into our RedTV coverage at 2.45pm with special guest Mikey Devlin. Post-match we will have all the reaction, highlights and a full match replay. Lewis Ferguson joined the long list of players missing for the Dons after picking up a knock in midweek. There was a welcome return though for Scott McKenna. A bright start from the home side who are on a decent run at the moment but Aberdeen dealt with that then enjoyed some good possession in the St Johnstone half. In the third minute McGinn found space after an early throw from Logan but his left footed shot was never going to trouble Zander Clark. 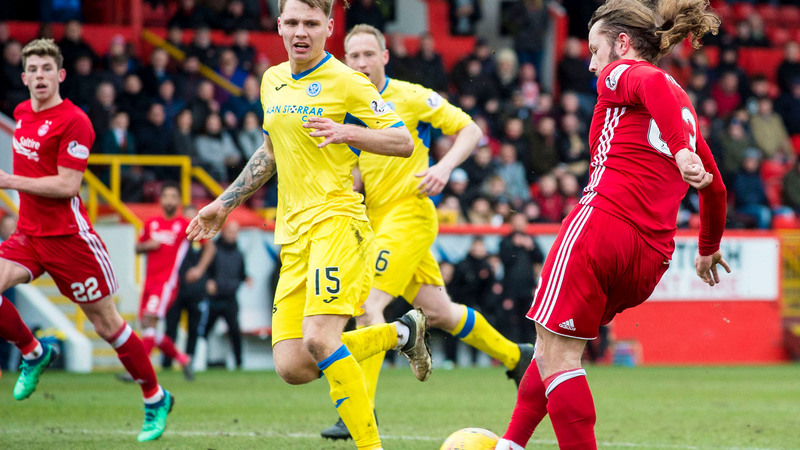 Aberdeen won the first corner of the game in the sixth minute after Clark fumbled a McGinn deflected cross – good work from Stevie May who put pressure on the keeper. The ball was knocked out for a second corner from the other side which was headed clear as far as McGinn on the edge of the area. Niall caught his volley sweetly, but the ball deflected off a defender and fell kindly into the hands of Clark. 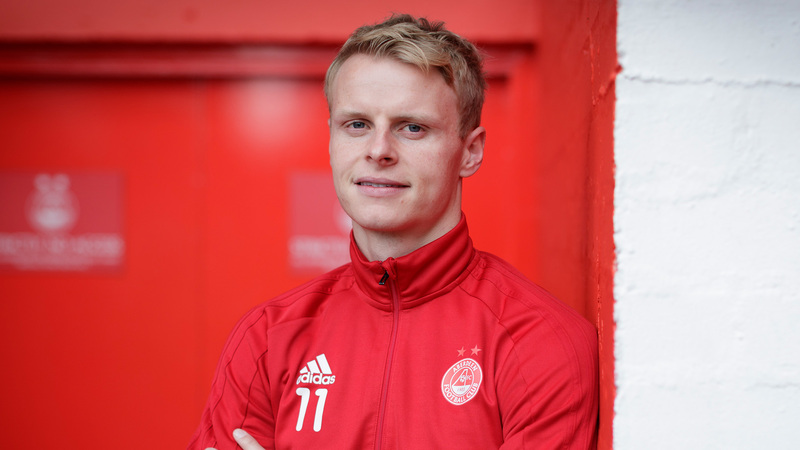 Aberdeen continued to press and there were appeals for a penalty on eight minutes when May was taken down inside the area. There was contact, but it would have been a soft one. Also it is unlikely the striker would have got on the end of the Shinnie through ball. Liam Craig set up Foster who forced the first Saints corner in the 12th minute. Craig took the corner and he held it up nicely at the front post for David McMillian who was able to lose his marker Logan and head into the net from close range. Joe Lewis, making his 100th Aberdeen appearance today, had no chance and looked non-too impressed with the marking. Craig was booked on 17 minutes for bringing down Shinnie. From the free kick the ball found McKenna at the back of the area and his downward volley was blocked then cleared. There was then a massive let off a few minutes later for Aberdeen when Watt powered down the right and his cross was about to be tapped in by Kennedy but Considine, on the ground, just did enough to get the ball behind for a corner. On 25 minutes a dangerous ball in from Gleeson looked for Forrester but was well defended by the St Johnstone defence who were looking solid. Aberdeen then won a number of throw-ins on the right and the running tack allowed Logan to take a long run up. On each occasion Shay aimed it in for McKenna at the front post and on each occasion he was man handled by two defenders. The third time Shaughnessy was having a real tussle with McKenna and the Saints captain was maybe a bit fortunate not to get penalised. On the half hour mark Blair Alston headed a Foster cross just wide. He was in far too much space and it was a decent chance. Four minutes later, after Aberdeen had defended a corner, Gleeson played a good ball to Logan and his cross found May inside the area. The striker with his back to goal managed to get a shot on target but it was straight at Clark. A minute later after a patient build up McKenna swung over a ball from the left which found Logan but he could not get any direction on his header. The last ten minutes of the half were very slow paced, and the lack of tempo was not suiting Aberdeen. The home side had time to get into their defensive shape. A frustrating first 45 minutes as Aberdeen were unable to give the fans behind the goal in the South Stand anything to get excited about. At half time Sam Cosgrove came on for Forrester and within 30 seconds Clark was forced to make a fine save from a Niall McGinn shot. On 47 minutes Considine was booked for a foul on Watt. Looked a slightly harsh decision. After 51 minutes Gleeson played McGinn down the right with a neat pass and the winger was able to get down the by-line and force a corner. It was taken quickly and the two on one which was created allowed GMS to run across the box and fire in a shot which was going in but Kerr on the goal line did really well to hold his position and head the ball off the line. Kennedy should have been booked for diving at the other end when he fell over inside the area. On 54 minutes Callachan jumped over Lewis as he went for the ball and when he went to ground there were appeals for a penalty. There was absolutely no contact whatsoever. In the 57 minutes Watt, who looked to be backing into McKenna, won a free kick on the edge of the area. The striker fired in the set piece which bounced up off the wall and then cleared. On 59 minutes McGinn had a shot blocked by Tanser and again the ball broke kindly for the home side inside the area. Then Aberdeen had three chances within a couple of minutes. A fierce GMS shot from the edge of the area was only parried by Clark but no one was close enough in a red shirt to make the keeper pay. Then from a Logan cross, Cosgrove won a header which was well saved by Clark. It was an instinctive save from close range but the ball was at a comfortable height for him. Then Considine headed a McGinn cross from the left just wide. The keeper was rooted to the spot but the ball back across goal went past the post. On 65 minutes more pressure as the Dons began to build up a real head of steam. A minute later a double change; May off Anderson on and Gleeson off Ball on. A corner found Logan at the back of the six yard box but his header landed on the roof of the net with Clark stranded. Finally on 69 minutes Aberdeen got an equaliser that they thoroughly deserved. A direct GMS run forced Alston into a foul on the edge of the area. The Saints player was booked. McGinn stepped forward to take the free kick from 25 yards and curled it past the wall into the keepers near post. Brilliant technique. On 70 minutes Lowe was booked. A bit unlucky as he appeared to slip whilst making the challenge. The left back had another very encouraging game. Two minutes later Foster played in Alston who forced Lewis into a brilliant save. Poor defending again from the Dons as the St Johnstone player was able to run off his marker but outstanding from the Dons number one who made himself big. A few minutes later Anderson almost created a chance for Cosgrove. Then Dom Ball threaded a nice ball in for McGinn but his first time shot from an awkward angle went over. Might have been better cutting the ball back as there were players getting up in support. It was a really open game in the last 10 minutes as both teams trying to find a winner. Aberdeen had to settle for a point. Some positives to take from the second half performance.